When Independence Day (1996) was released 20 years ago it was clear that it was not a very serious movie and neither is this year's Independence Day: Resurgence. These are popcorn-summer-block-buster films. As was the case for the first film the producers have released this new installment to coincide with the celebration of Independence Day in the United States of America. The story is rather simple: Twenty years after the people of earth banded together to fend off an unexpected alien attack from outer space they find themselves fighting for the survival of humanity when the same alien species returns in response to a distress call from the initial invading force. This time however two things are different: First, the alien hive queen personally leads the alien invasion, and second, the people of earth are prepared for the attack. In the intervening years humanity rebuilt it's monuments and, to better defend themselves, they backward-engineered the alien technology left behind by the first invasion force. 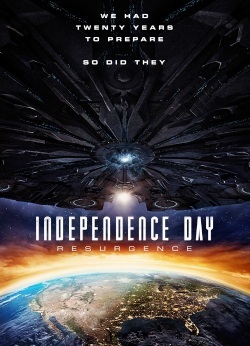 Independence Day: Resurgence is half focused on the returning characters ofIndependence Day (1996) and a new generation of soldiers who stand ready for a day they'd hoped would never come. Epic stuff, but handled with a light hand. Nothing in the movie comes off as overly ponderous; even the epic speeches are a little tongue-in-cheek. Not simply satisfied with nostalgia, director Roland Emmerich works to advance the idea of a continuing Independence Day franchise. Following the age-old adage, "the enemy of my enemy is my friend," Emmerich introduces a new alien species which, after humanities victory, promises to take humanity into the stars to fight their mutual enemy on their own turf. This shouldn't spoil anything for anyone because virtually everyone sitting down to this film knows humanity will pull through and win the day. That's how this sort of film goes—no dire cliff-hangers just an empty popcorn bag and beverage cup. How do the humans manage to pull together? What makes the difference in the end? 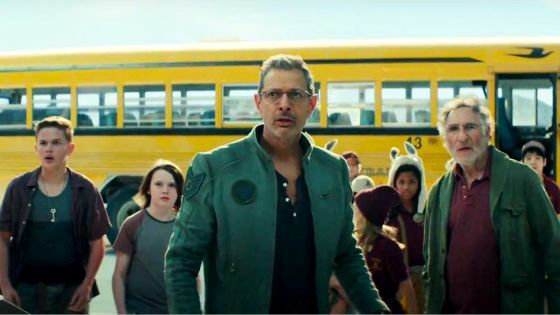 On the surface it appears to be the clever resourcefulness of characters like fighter pilot Jake Morrison (Liam Hemsworth) and scientist David Levinson (Jeff Goldblum). But there are a couple moments where there is an appeal to faith as a source of personal and collective power in the face of the alien invasion. Dr. Levinson 's father, Julius Levinson (Judd Hirsch), quotes a passage from his book How I Saved the World saying, "In our darkest moment, when all hope was lost. That's when I said, 'Never give up! You have to have faith!'" Later he tells some children who have taken him in during the aftermath of the first wave of the new alien attack that they need to "have a little faith." Christian viewers should take a moment and think this through before slotting their own Christian faith into the statements about faith found in Independence Day: Resurgence. First, does faith as it's presented in the film have an object or does it not? In other words, is there something or someone people are being asked to put their faith in? And secondly, amidst the squiggly aliens and the explosions, does Jesus get even a mention? Yes, He does, however while the movie isn't short on using the name Jesus or calling on 'God Almighty' it doesn’t do so in prayer but in expletives and exclamations. Characters in Independence Day: Resurgence clearly know who Christ Jesus is however they simply don't call upon Him in prayer and praise. And while it wouldn't be expected that erstwhile-rabbi Julius Levinson would be advocating Christianity, the film is also not advocating a Jewish or Muslim view of faith or any other religious concept of faith either. The moment that helps provide perspective to this observation is when the former President of the United States, Thomas J. Whitmore (Bill Pullman), makes his appeal to the people of earth asking them to pray regardless of their nationality, creed or race. As he says this Emmerich cuts to Buddhist monks listening on a radio. When considered in relation to how the film generally portrays faith it becomes clear the director doesn't think specific faith is as important as just having 'faith' in general—faith in the abstract. So when Julius Levinson says "have a little faith," he's really saying “be positive." And when President Whitmore calls for prayers, those prayers are not directed to any god or to the one true God. While it’s good to see prayer encouraged, Christian viewers and especially parents of young folks who see the film should take the opportunity to think and talk about the object of their faith, Jesus, and the nature of Christian prayer. Before saying, 'wasn't it nice that everyone prayed,' perhaps a question needs to be asked, "Can Christians, whether formally or informally, truly pray jointly with people from other religions?" From time to time it looks to all the world like this is happening, however it's important to note who the petitions of such prayers are being directed to, Independence Day: Resurgence doesn't appear to be too fussy about the details in this regard. 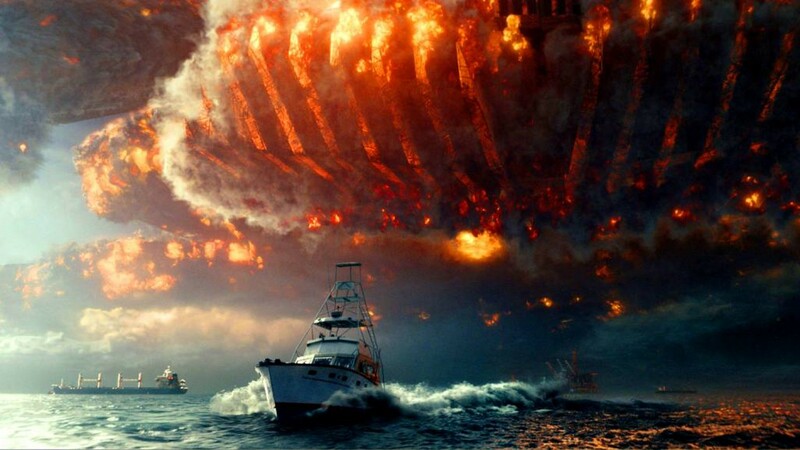 Is Independence Day: Resurgence worth seeing? The first film was grandiose for its time. Today, the things that made it a must-see film—its style and larger-than-life swagger—is the stuff of a dozen super-hero films and other epic sci-fi adventure films. So in a way, two decades later, it's a victim of its own success. What made it special the first time around makes it just average today—maybe a bit above-average because it still has some fun moments. So setting aside its politically correct notions of religion, faith, and prayer viewers are left with a perfectly serviceable sequel that will be amusing for those who enjoyed the first film. 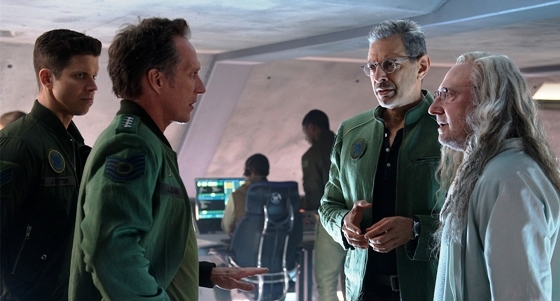 Independence Day: Resurgence rewards low expectations. Viewers who wanted more of Dr. Brackish Okun (Brent Spiner) after watching the first Independence Day (1996) get more from him in this film, but missing are characters like Captain Steven Hiller (Will Smith) and Russell Casse (Randy Quaid) and that's okay because the film is bursting at the seams with characters. Had the film focused more on fewer characters it could have been stronger over all. Bigger isn't always better; sometimes the small- or medium-sized bag of popcorn is just the right amount.